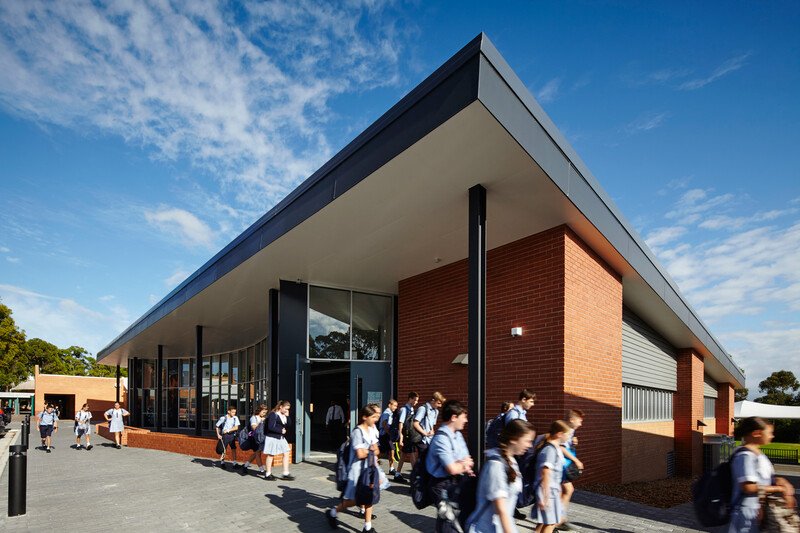 The new General Learning and Administration buildings at Aquinas Catholic College constitute the first stage of a campus masterplan designed to keep the school at the leading edge of educational practices for the next twenty years. 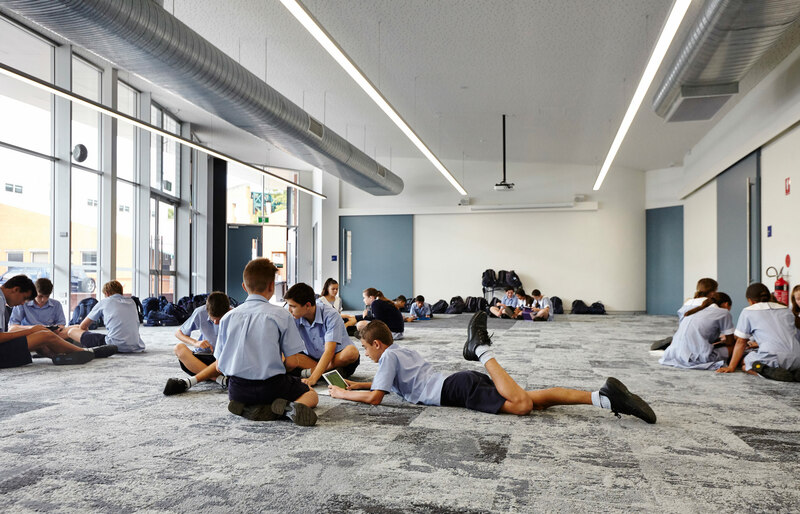 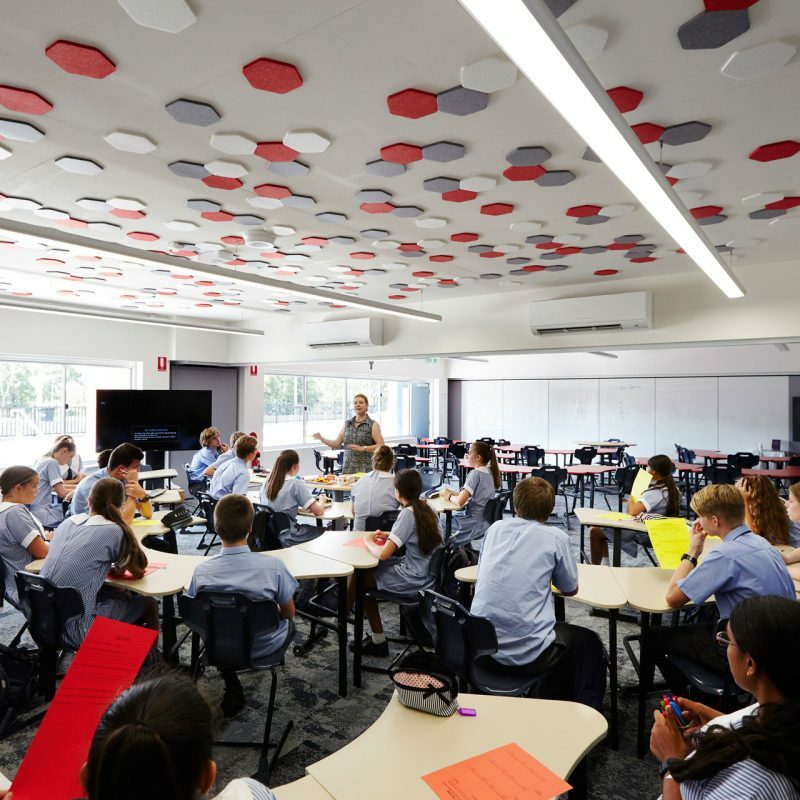 The new General Learning building is highly flexible and interactive, providing twelve classrooms, all of which are connected by moveable walls and an integrated cross-classroom AV platform. 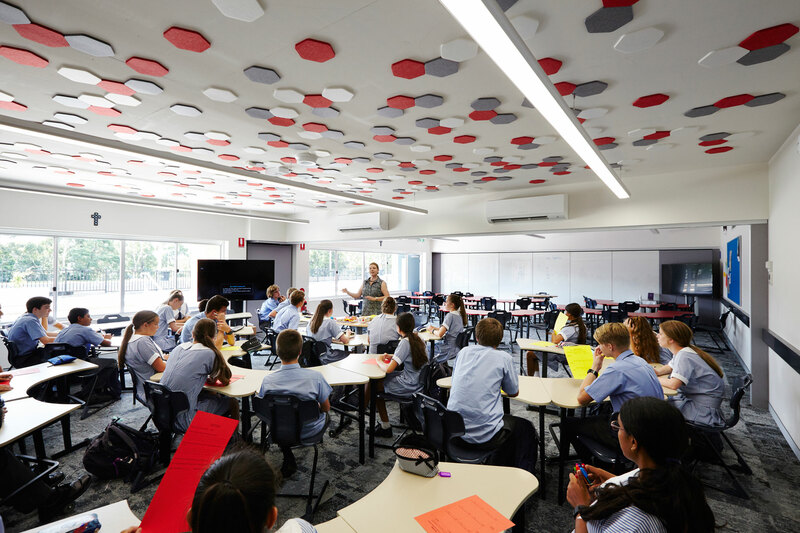 The building takes every opportunity to accommodate active learning principles and enable a diverse range of pedagogies. 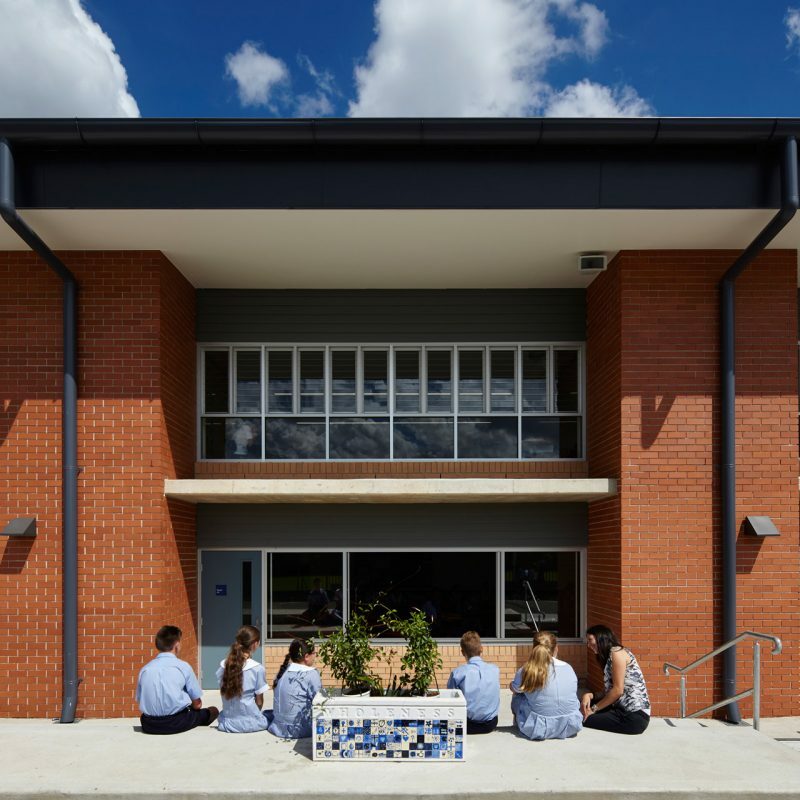 Writable glass and pin-board cladding to moveable walls, tiered outdoor seating and moveable sit-to-stand furniture are some of the features that help the architecture adapt to the demands of today’s and tomorrow’s students. 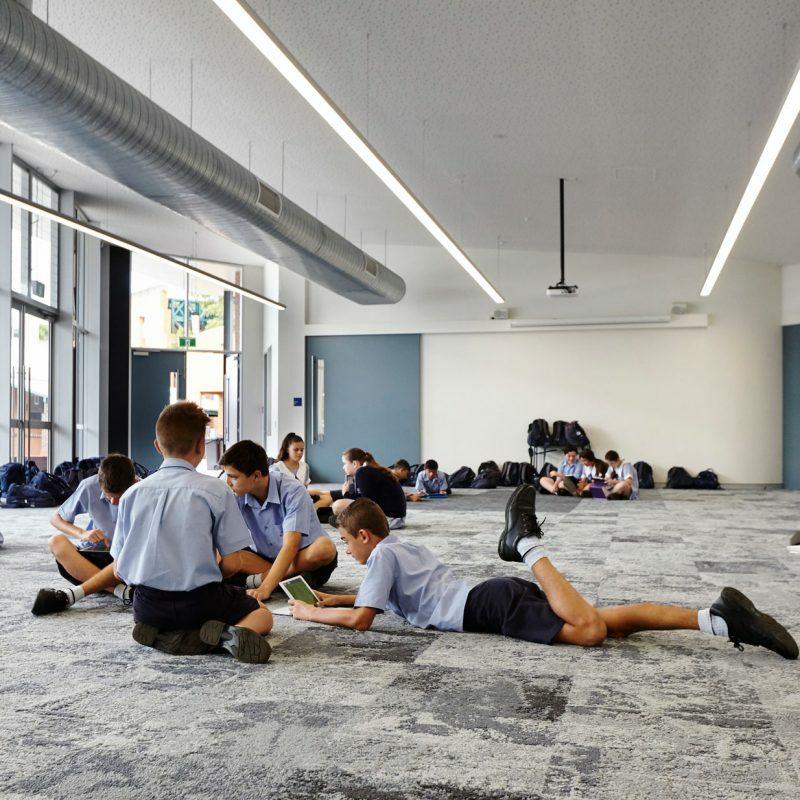 On the second floor, all ‘rooms’ open onto a vast multi-purpose common space that is often used for exams, student gatherings, exercise and teaching. 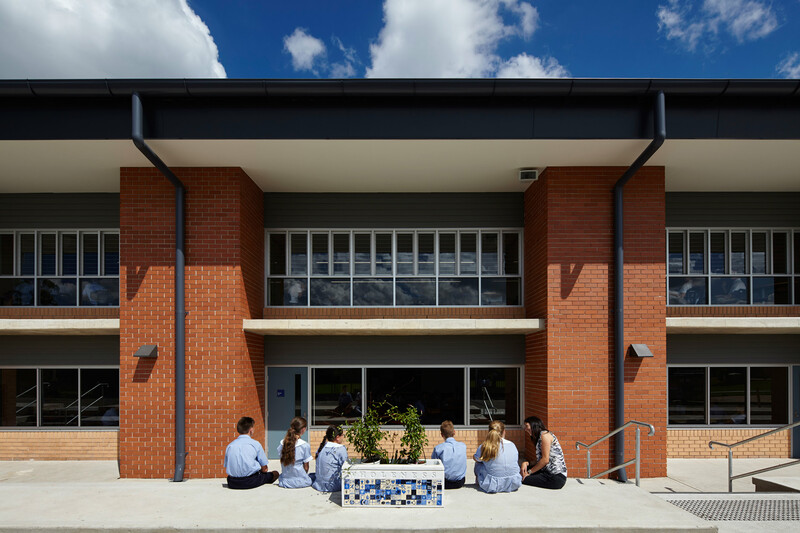 The Administration building is designed to maximise ease of interaction between the administration staff, students, teachers and visitors. 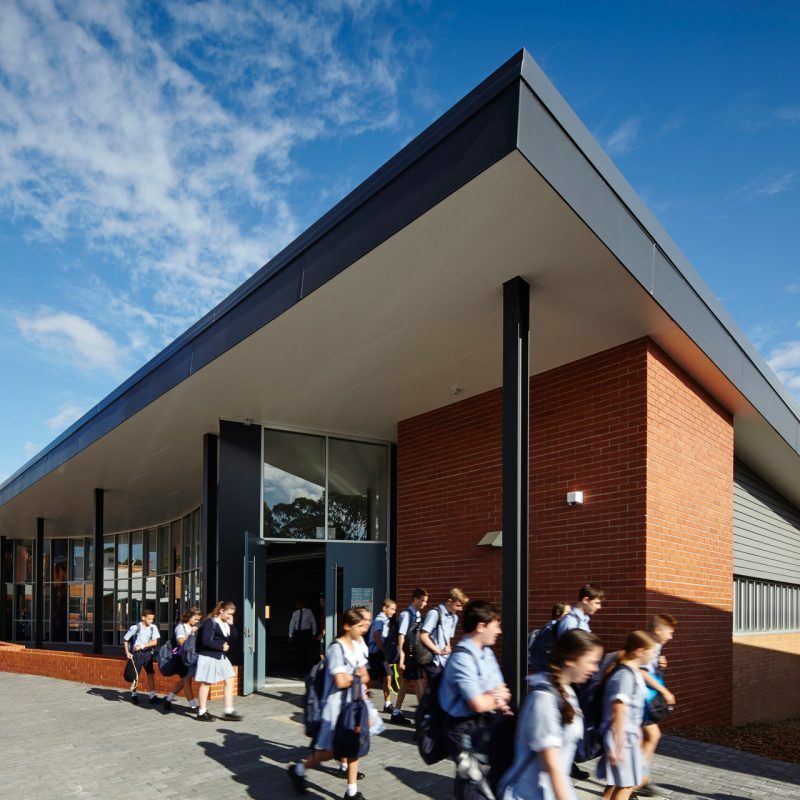 A significant proportion of glazing along southern facade ensures visual connection between support staff and those being welcomed or assisted. 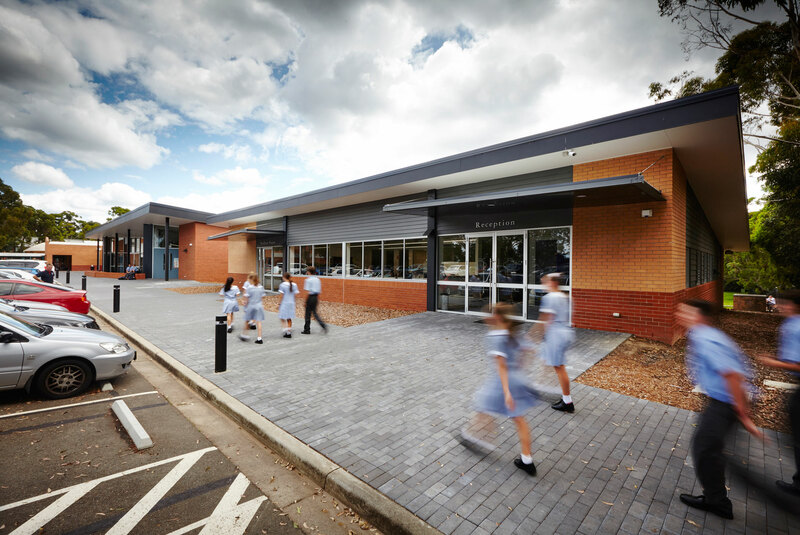 Dual entrances for guests and students provide necessary but isolated services for each including sickbay, counselling and interview rooms on one side and foyer, meeting and boardroom facilities on the other. 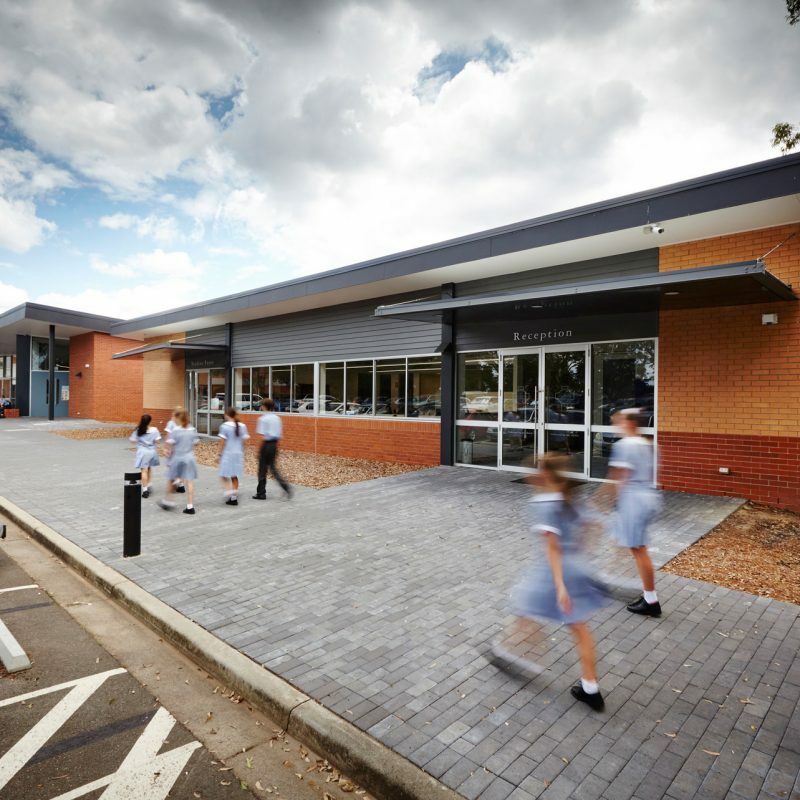 The architecture adapts to the demands of today’s and tomorrow’s students.